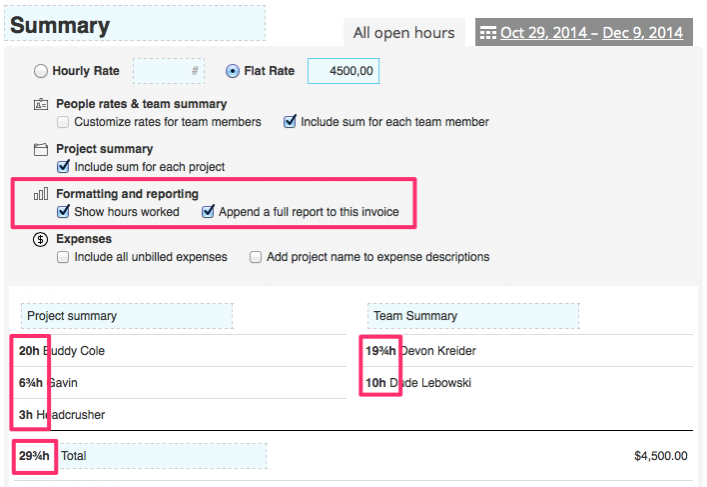 When you create and invoice, you can optionally customize the hourly rate for each person. First off, set an overall hourly rate for the invoice. Check the Customize rates for team members checkbox. For each team member that doesn't use the overall hourly rate, specify the rate you want. Note that Noko updates the invoice as you type. 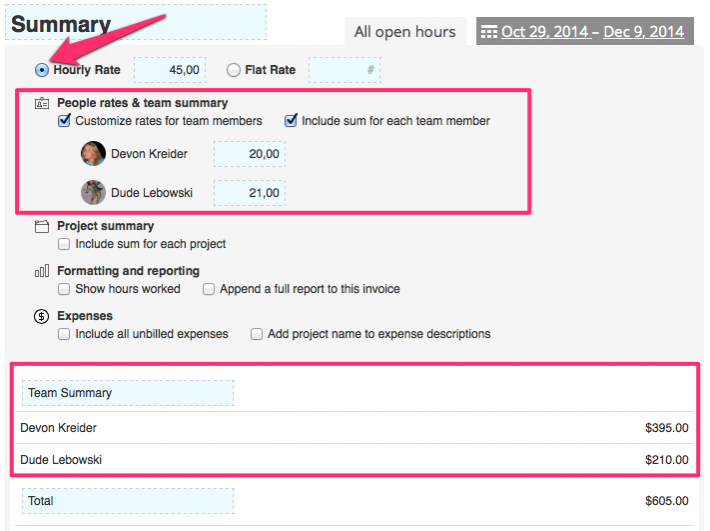 Choose if you want the invoice to include the exact amount per person by checking Include sum for each team member. Choose if you want the show the hours worked for each person or not, by checking Show hours worked under Formatting and reporting. Note: at this time we don't offer rate customization per tag or per person and project in multi-project invoices. You can however create multiple invoices and have different per-person rate settings in each invoice.